Production AV were looking forward to being involved in a project that was hosted… or pedalled through our local area! We were working on behalf of several clients to provide a range of solutions for the Tour of Britain stage which finished in Cheltenham. 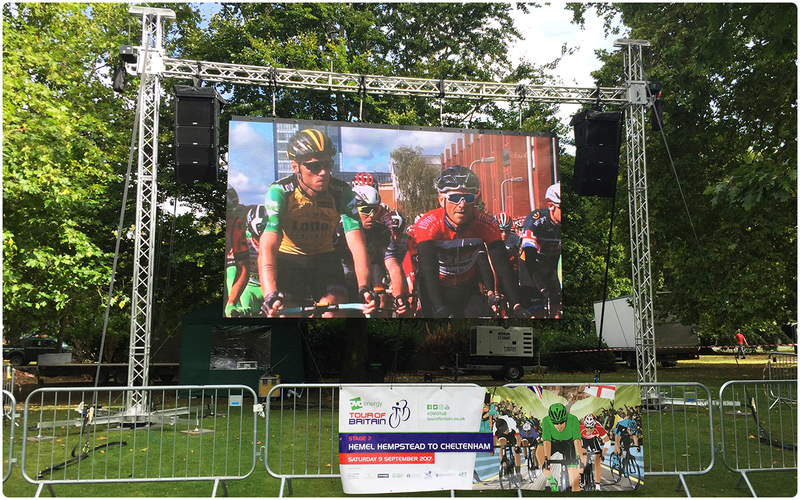 For APT Marketing, we were responsible for providing the screens and live feed to the hospitality yurt at the finish line as well as the main LED screen site for public viewing constructed in Pittville Park next to the the final stretch of the race. 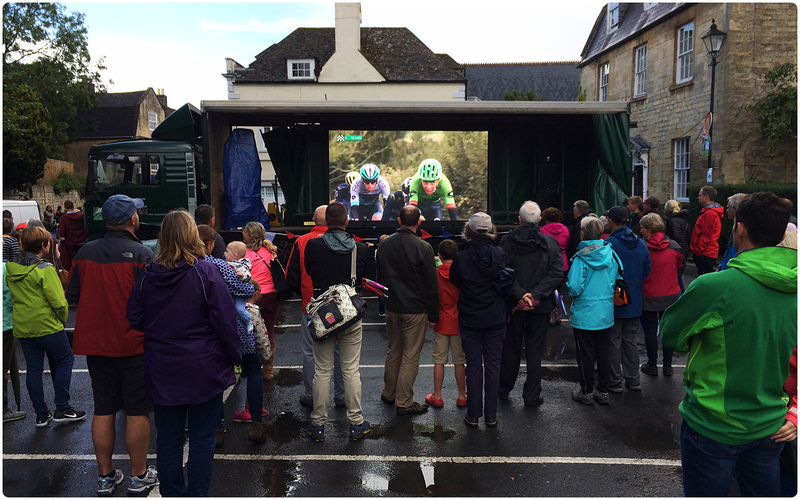 For Mudway Workman, we provided another LED screen in Winchcombe a couple more kilometres away from the finish line which was erected on the back of a curtained trailer. With the race gaining considerable interest amongst the public Production AV were delighted to playing our part in enhancing this special day for the spectators and Gloucestershire as a whole. The hospitality yurt was provided as a space for the sponsors of race and their delegates to gather and enjoy meeting and listening to well known members of the cycling community, eat fantastic food and enjoy the race as it was presented around the edge of the yurt on four of Production AV’s Samsung ME65B 65″ LED Flat Panels. All of our sites were installed with satellite dishes that provided a reliable Freeview feed of the race and our onsite technician Jimmy Flanders was at the yurt to assist and tweak the setup in the event the feed slipped in quality. The PA, microphone systems and playback capabilities for the screens used before and after the race were also provided by Production AV. Arriving at 5am on the morning of the race at Pitville Park, the team worked into the morning building a goal post truss structure where a 6.4m x 3.6m LED screen was constructed using our stock of Desay 6.25mm Indoor/Outdoor LED Panels. Line array systems were flown either side of the screen which would project the audio clearly to large crowds expected throughout the day. In a gazebo behind the screen, control was set up to protect it from the elements. A pair of Nova MCTRL660 Processors were used to manage the data being fed to the screen with one acting as a fail safe hot back up to the main processor. The sponsorship content that would play during the races advert breaks was switched using our Barco PDS-901 3G 9 in 1 Out Seamless Switcher with all data being comfortably scaled to the screen using our industry standard Barco ImagePRO II Dual. 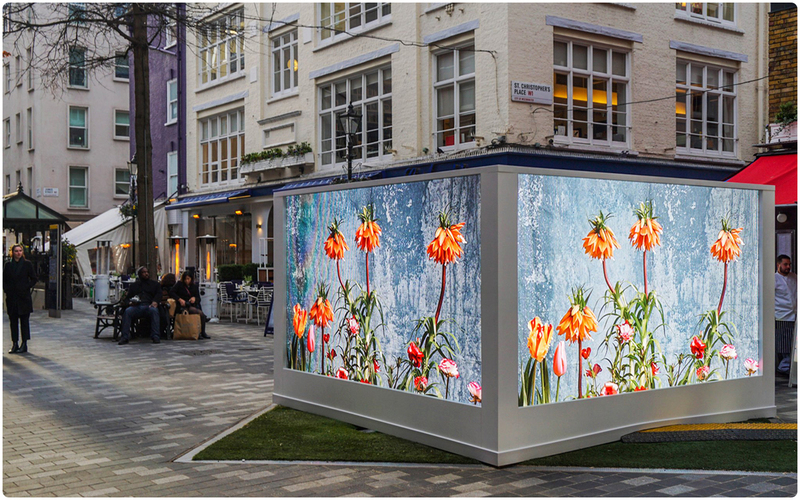 In Winchcombe, the task was similar as we used our Desay 6.25mm Indoor/Outdoor LED Panels to create a smaller screen four panels wide and two panels high constructed on the back of a Mudway Workman trailer using our ground support system. The screen faced outwards into the local Fanzone that was positioned within touching distance of the road where the race would fly through. Overall the stage was a massive success with thousands of people lining the streets to support the riders. Mick Bennett the Race Director of the OVO Energy Tour of Britain mentions the overwhelming warmth and unprecedented support shown during Stage 7 and we’d like to thank APT Marketing and Mudway Workman for allowing us to be apart of that support. It was a pleasure having you both as clients and we look forward to continuing our relationship with you in the future. 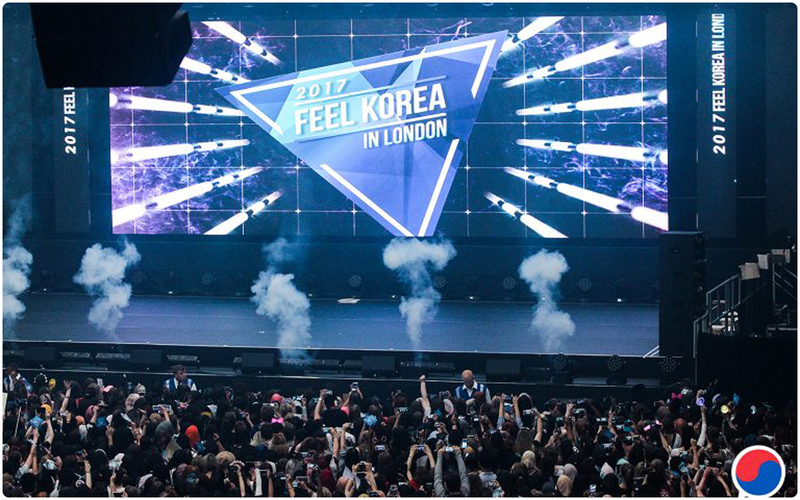 Production AV were delighted to working on behalf of SFL by supplying the LED screen solution for the Feel Korea 2017 concert. Earlier on during the day, the Korean Cultural Centre hosted the London Korean Festival 2017. 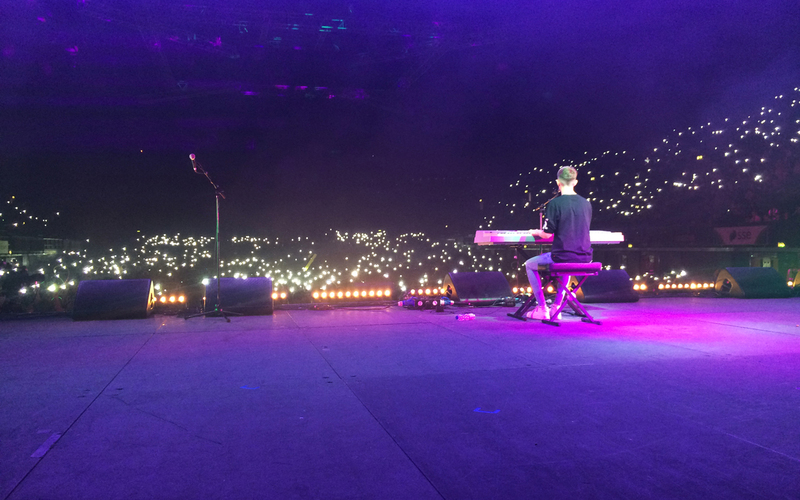 However, for the evening, Feel Korea returned to Olympia London to host the evening concert. 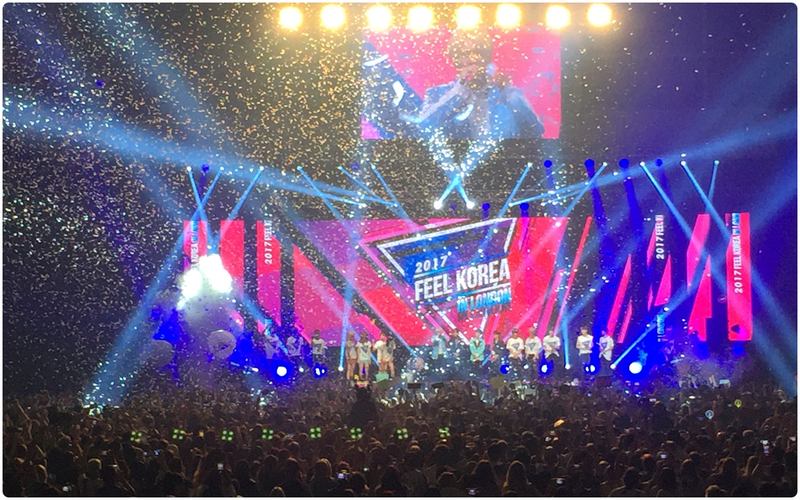 With KPOP blasting through SFL’s PA and the crowds cheering for their favourite artists as they appeared on our screens before the show, our onsite technician Sam McCrea realised he was about to experience one of the most vibrant, outlandish performances he’d have ever witnessed. 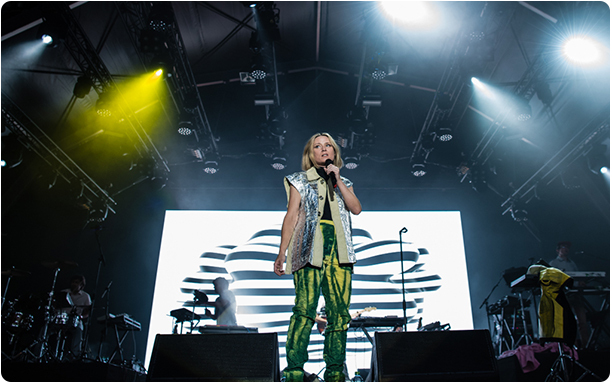 For this event, both our DigiLED 3.9mm Indoor LED Panels and our Desay 6.25mm Indoor/Outdoor LED Panels were used to create the video backdrop on stage as well as an elevated screen that relayed the live camera shots throughout the show. 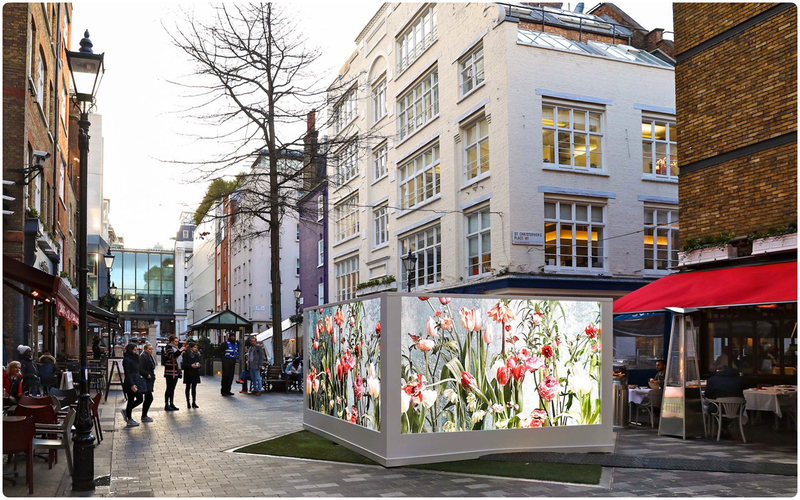 The stage backdrop was formed using a mixture of SFL’s and Production AV’s stock of Desay 6.25mm Panels to create a 12.8m x 4.5m screen as the centrepiece of the display which was flanked either side by three 1m x 4.5m columns of LED. This layout enabled clever video design to utilized the separate columns as their own entities to deliver more impressive visuals than a single screen of that size could achieve.In addition to this, 84 modules of DigiLED 3.9mm were connected to form a screen and were flown high above the stage to display the camera feeds. 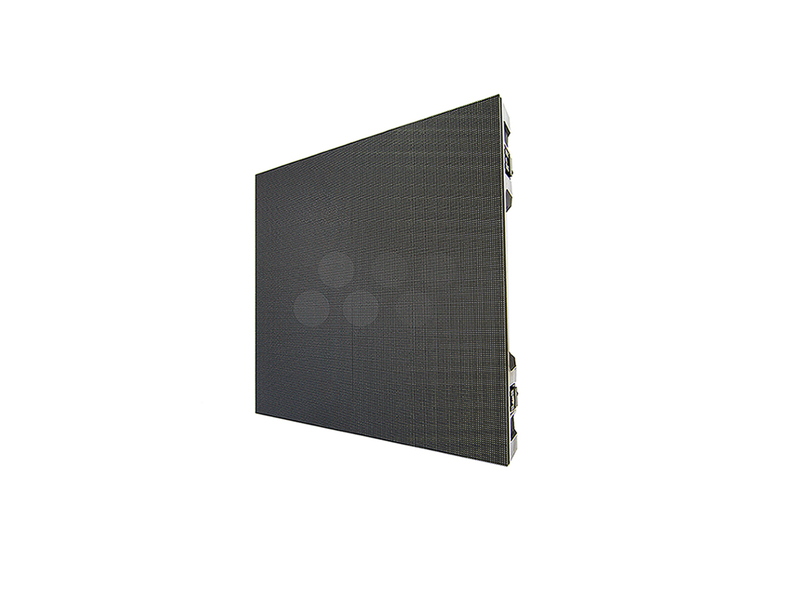 For the 6.25mm screens, four Nova MCTRL660 Processors were used to manage the data being fed to the screen with two acting as a fail safe hot back up to the main processors. 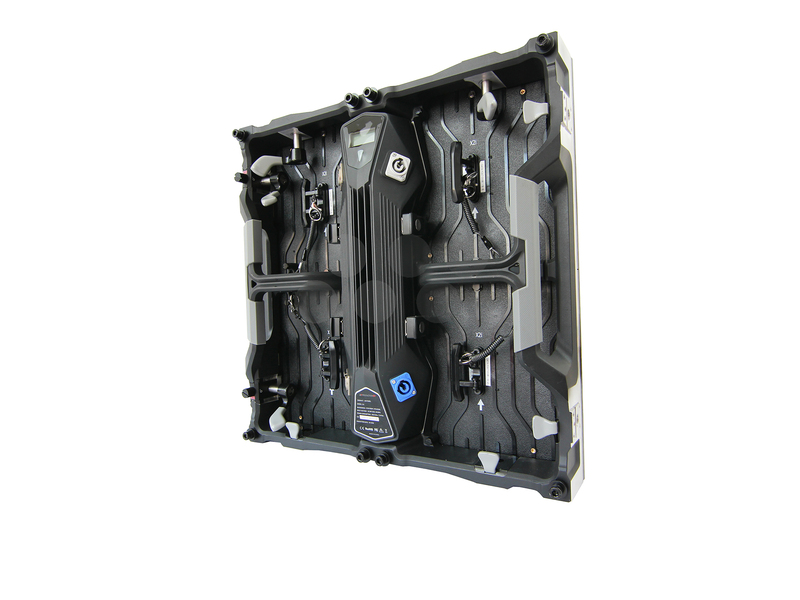 For the 3.9mm screen, two DigiLED Navigator LED Controllers the equivalent processors of the Novastars were used to fed data to the screen employing the same failsafe hot backup system. Whilst SFL supplied their own Barco E2 4K Screen Management System to drive the show, our Barco EC50 Event Controller was provided to increase the simplicity and flexibility of the E2 system. 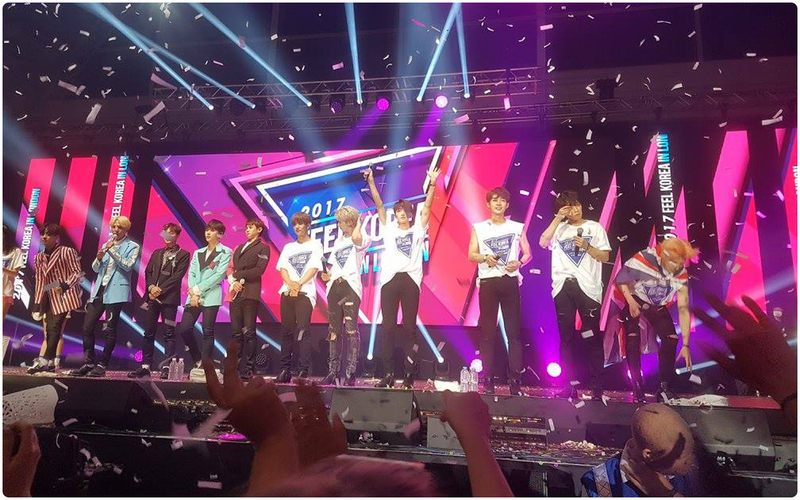 With the last act finishing on stage, the exuberant crowd were further roused by an encore from all the main acts sporting ‘Feel Korea’ t-shirts as they came out on stage for a final hurrah! With inflated balls thrown around the crowd and confetti cannons shot from the bottom of the stage it created a beautiful end to the show. We would like to thank SFL for selecting us as the LED screen supplier for this event and we look forward to working on many more projects with you in the future! 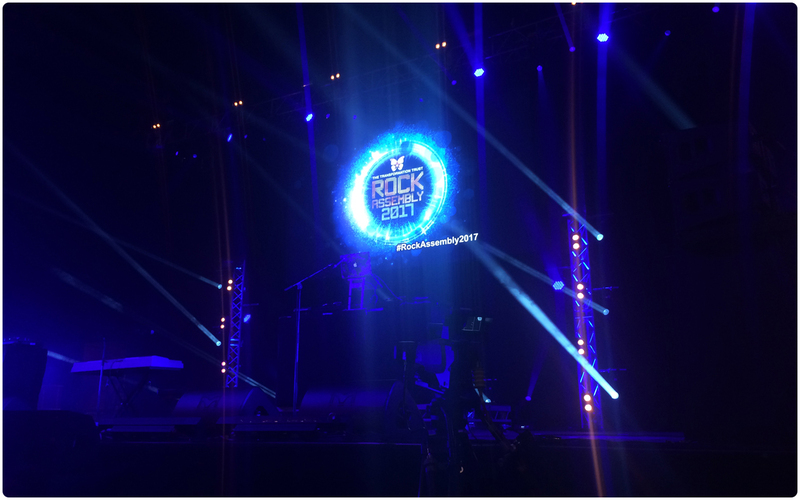 Production AV were feeling excited to be working alongside GLS Lighting to provide the technical solution for the annual Rock Assembly organised by The Transformation Trust’s as an end of term concert at the SSE Wembley Arena. Production AV felt privileged to be involved in providing a day of inspiration and celebration for underprivileged secondary school children and were looking forward to experiencing all the amazing artists such as The Vamps, The Dixon Bros, Sarah Close and Pink Angels here to celebrate their successes and opportunities for the future. Our task for the concert was to provide the complete video solution which consisted of projection, LED screen, camera system and video control system. The 6.4m x 3.6m LED screen created using our Desay 6.25mm Indoor/Outdoor LED Panels was flown above the centre of the stage and was used for to display playback throughout the course of the show. On both sides of the stage, a Barco HDX W20 DLP Projector and its projection racking were erected to rear project onto a pair of flown Stumpfl 20ft x 11ft screens. 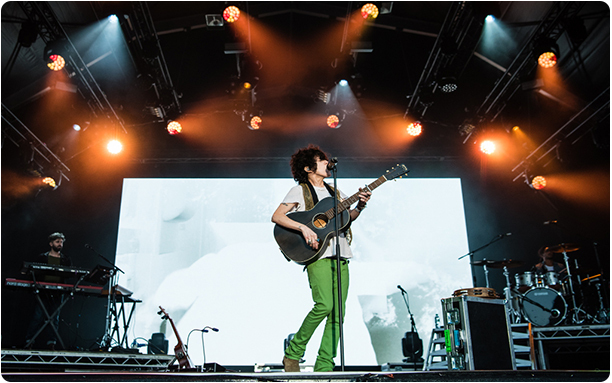 The projection showed the live camera feed from four Sony HXC-100 HD Camera Channels positioned around the venue with the furthest camera from stage having a Canon XJ86X9.3 Box Lens attached to it to maximise the range of focal lengths throughout the show. One camera channel was shoulder mounted and was free to roam around the stage to diversify the visuals and the other two of the camera channels were elevated on the pit floor to provide close up shots of the performers but also rotate to capture the excitement of the groups of school children when they saw themselves on the big screen. 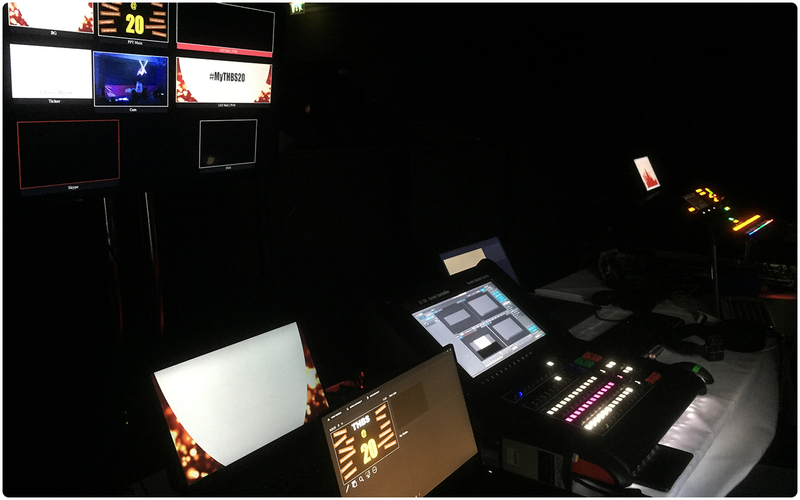 Our Video PPU housed the drivers of the show with the Barco S3-4K Screen Management System comfortably pushing the playback that was gathered and managed using a pair of our Hippotizer AMBA V4 Media Servers to the LED screen as well as the live camera feed to both HDX projectors. Vision mixing was performed using the Panasonic AV-HS400 Vision Mixer and control units for the camera channels were also installed so that engineer settings such as colouration levels so that the camera operators could focus fully on getting the best shots. 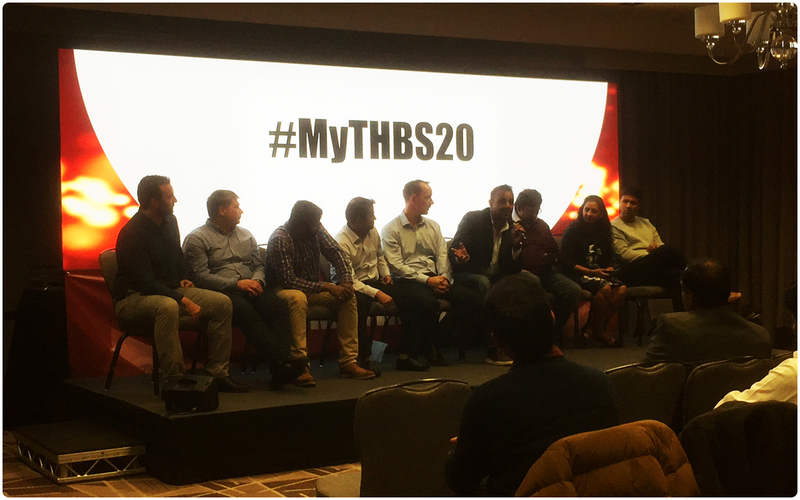 Production AV were also requested to record the entirety of the show using our Blackmagic Design HyperDeck Studio Pro which was matched to a synced audio feed and then provided on SSD cards following the completion of the event. With The Vamps closing the afternoon off with a performance to match the frenzied energy of the crowd, Rock Assembly 2017 was over for this year. With 10,000 pupils from across England having the opportunity to explore career options and talk to universities at the Futures Fair before watching the concert in the afternoon, Production AV felt privileged to be a part of this meaningful and benign event. Thank you to GLS Lighting for selecting us as the video supplier for this event, we really appreciate working alongside you and look forward to the next one. 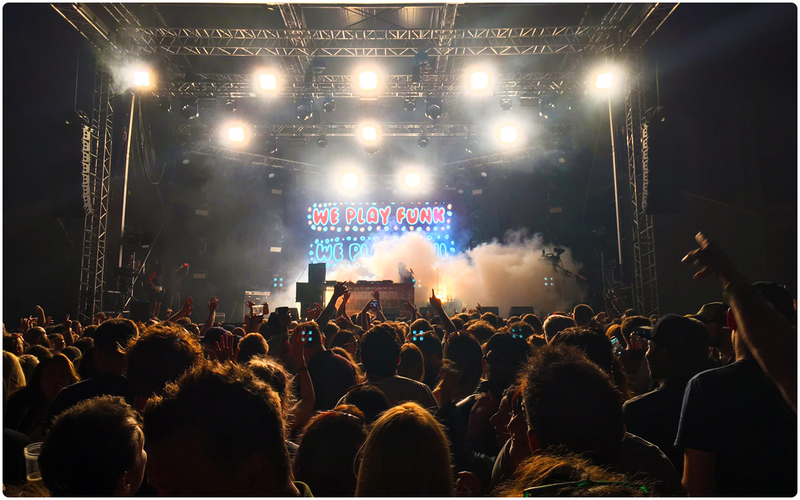 Having been lucky enough to be requested by Utopium Lighting to provide the LED screen solution for Grillstock 2016, we were looking forward to being further involved in the production of Grillstock. For 2017 we expanded our services to the festival, providing the screen, camera system and livestream capabilities feed. Grillstock is one of the events we most look forward to on the work calendar with the promise of good weather, fantastic food and a variety of artists ranging from The Darkness to the Hot 8 Brass Band and even a trip down memory lane with Goldie Lookin Chain performing! The load in was completed on the Friday before the weekend event with the video centrepiece being a 6.4m x 3.6m LED screen built using our Desay 6.25mm Indoor/Outdoor LED Panels that was flown from four rigging points at the rear of the stage to provide a backdrop. 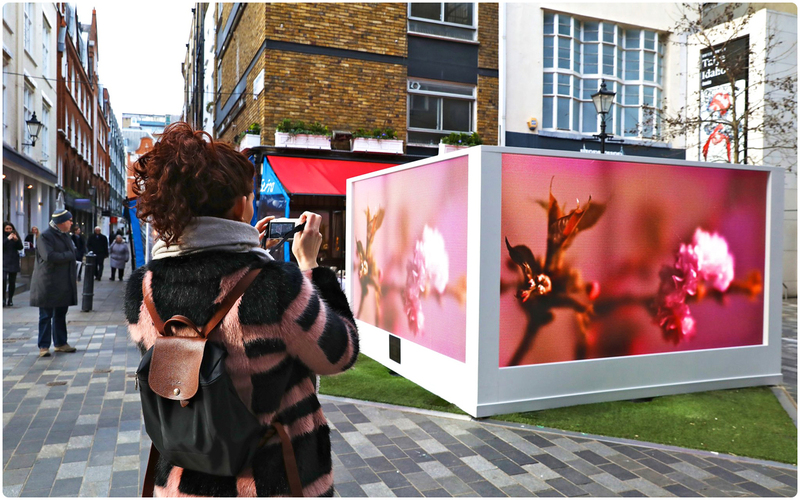 Some artists brought their own content which was scaled and fed to the screen using our Barco ImagePRO II Dual and played out using our Hippotizer AMBA V4 Media Servers. 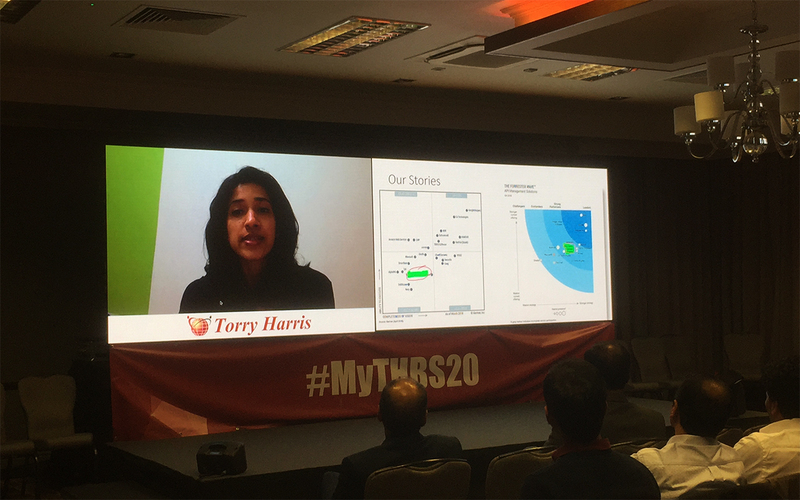 For much of the event however, the screen displayed live camera feed from our system of Sony HXC-100 Camera Channels with one camera channel at FOH and the other being used on a dolly at the front of stage as well as being handheld to diversify the types of shots achieved. In addition to this, onstage remotely controlled Sony PMW-EX3 HD Video Cameras were provided and it gave us the freedom to utilise numerous angles without being an intrusion to the acts on stage. Our control centre was built to the side of stage left and from there, our PPU built around the Panasonic AV-HS400 Vision Mixer was used to mix the show as well as engineer camera settings such as colouration levels so that the camera operators could focus fully on getting the best shots. 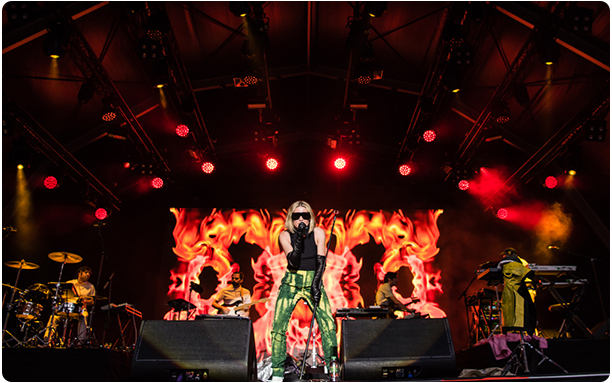 Production AV were also instructed to record the event and using our Blackmagic Designs HyperDeck Studio Pro and a synced audio feed, each act was separately recorded, archived and provided to Grillstock on an SSD card following the completion of the event. 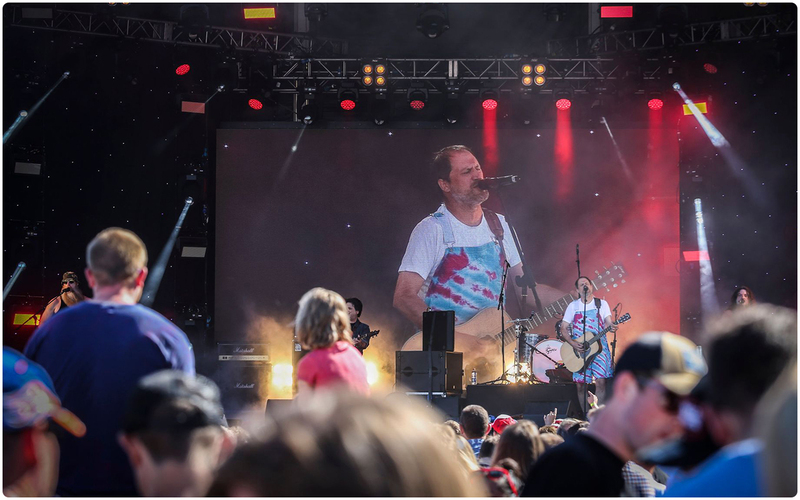 In addition to this, Grillstock were livestreaming several of the acts to Facebook and a video and audio feed was provided by Production AV to achieve this. Elsewhere on site, Production AV also provided screens and a camera solution to the Weber Stand using two Panasonic 42″ TH-42LF8 Full HD LCD Panels that were mounted to the set and displayed the mouth watering creations our Sony PMW-EX3 HD Video Camera captured throughout the weekend on the Weber BBQ range. With The Darkness ending the festival with ‘I Believe In a Thing Called Love’ much to the crowds appreciation, Production AV began the packdown and in an hour and half all our kit was in the back of the truck. 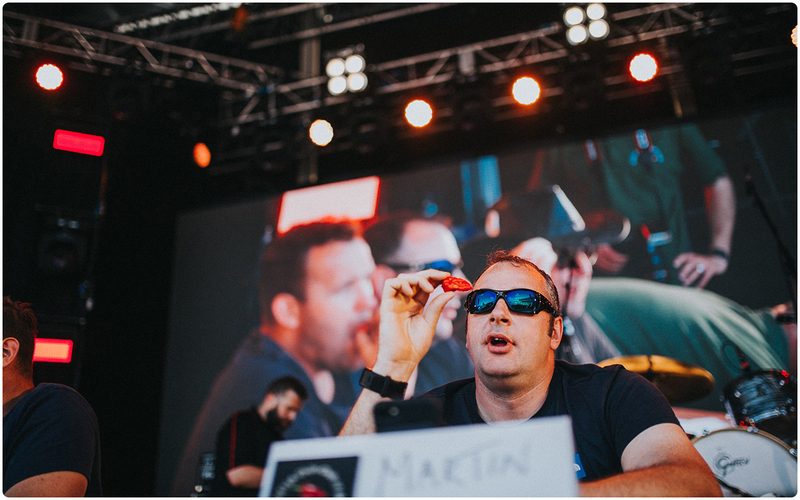 It is always a pleasure working with Utopium and we’d like to thank them for selecting us to provide the video solution to both Grillstock 2017 but also to the Summer Series held the week before. We are looking forward to continuing this relationship with Utopium and providing more video solutions for Grillstock and other events throughout the year. 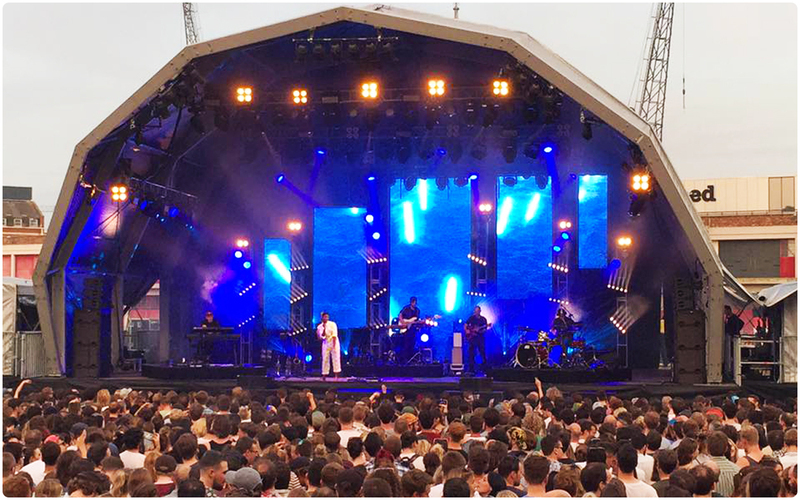 Production AV felt like summer had truly arrived as we were delighted to be providing the LED screen solution for the Bristol Sounds Summer Series on behalf of Utopium. 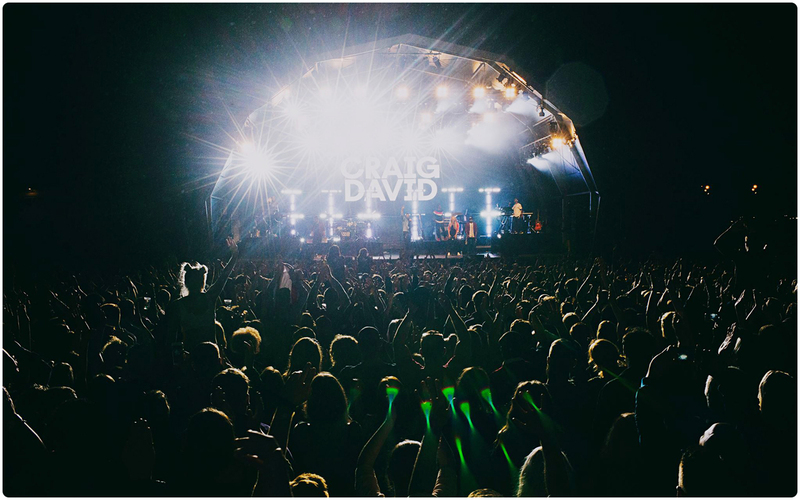 We were looking forward to experiencing some of the big names in music with this years festival featuring Bonobo, Manic Street Preachers, Craig David and Hacienda Classical. Whatever your taste in music, there was bound to be something to enjoy across the four nights of live music. Using our stock of Desay 6.25mm Indoor/Outdoor LED Panels, we brought 36sqm of LED that was hung at the rear of the stage as a backdrop. 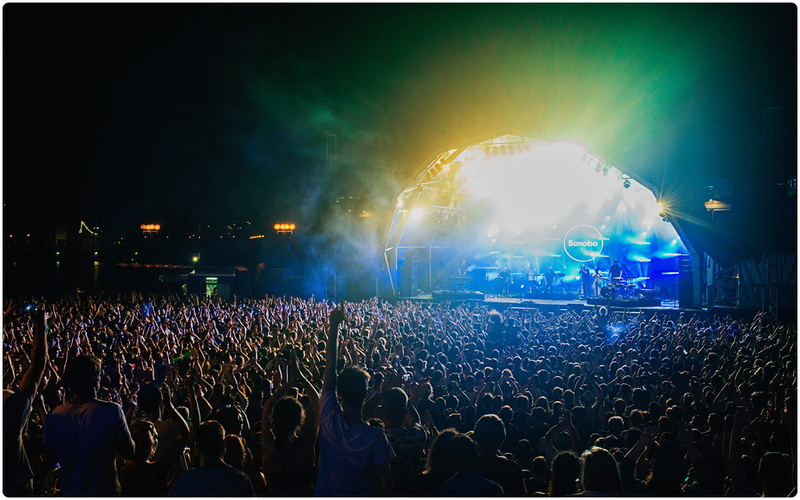 For Bonobo’s act, Production AV were able to produce a smart and cost effective design by splitting the screen into five drops spread across the rear of stage creating a unique and punchy effect. 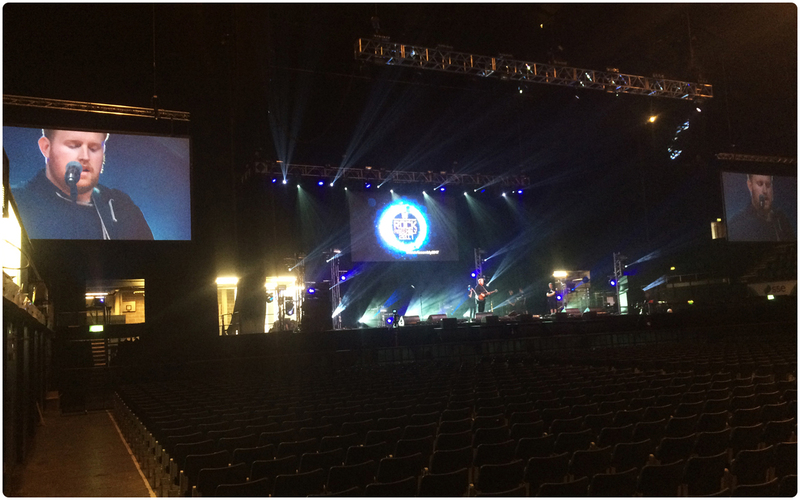 For Craig David, the screen was re-rigged into a more standardised letterbox shape of 8m x 4.5m. The rest of the equipment provided followed our usual LED screen solution with the screen content was scaled used our industry standard Barco ImagePRO II Dual. Two Nova MCTRL660 Processors were used to comfortably manage the data despite being split across five separate screens with one processor acting as a fail safe hot back up to the main processor. Once Craig David had finished up his set and evening to the roar of approval from the crowds, Production AV were quick to de-rig the screen however our desire for more, quality festivals to be involved in did not need to be heeded for long as we were looking forward to continuing to work with Utopium at Grillstock 2017 the following week. We’d like to thank Utopium for our continued involvement in the Bristol music scene and are looking forward to upcoming events this summer and beyond.